Comaskey Spanish property- The leaders in property sales on the Costa Blanca since 2002. 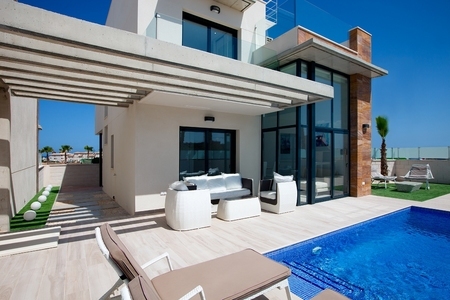 Comaskey Properties have been the leading Real Estate Agent on the Costa Blanca since 2002. We built our reputation over the past 16 years on service and value. We never cut corners to achieve a higher profit! Our clients become our friends and we are here to help them, long after the deal has completed. We believe that value comes in many forms. Comaskey Properties offer more value, more services than anybody else we know of in all of Spain, all under one roof. Comaskey Properties started selling Spanish property on The Costa Blanca back in 2002. We started doing things differently to the other Agencies on the Costa Blanca right from the start. We opened all day- the first agent on the Costa Blanca to not take a siesta. I know that’s a small thing but just showed we were not following the rest. We were the first Irish estate agent to sign a contract with Polaris World, the massive golf resort in Murcia. We were rewarded three years in a row as a Golden partner. Jack Nicklaus himself presenting us with the honour- talk about a meteoric rise. The numbers of happy clients we achieved did not go unnoticed and we soon had built a large network of agents across Europe in various walks of life; Golf pros, tennis coaches, radio stations, the GAA, UK chains, a Swedish marketing company, Belgian agent and more. We found that if a client trusted a leader in their community who liked and trusted us, then by association, the client immediately had trust in our company. Now, in 2018, we have recently merged with another long standing and well established real estate company in the Costa Blanca called Sunworld. Together we form one of the largest property groups in the area and have access to thousands of properties and excellent resources. However, we are still true to our family business ethos and offer a personal and professional service from start to finish. For more information or any help please don't hesitate to get in touch with one of our helpful team. Brand new 3 bedroom, 3 bathroom detached villas with private pools on a small development called Palm Beach I in Lomas de Cabo Roig. © Copyright Comaskey, 2018. All Rights Reserved.